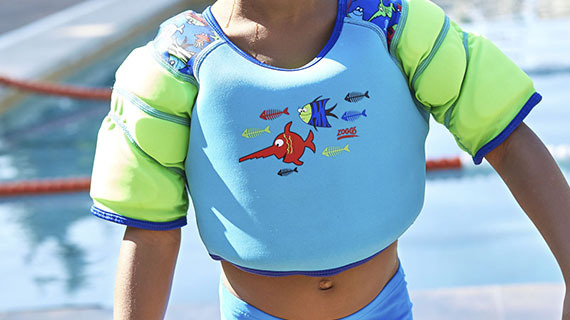 Made to help kids get used to the feel of the water and build confidence, the Speedo Sea Squad girls float vest ensures added safety and features foam inserts for buoyancy. 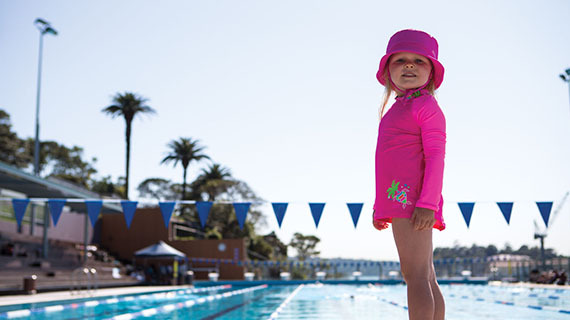 This cute swimming aid is part of the Speedo’s Learn to Swim stage 2 range and has been designed for learning swim strokes without restrictions of arm bands. Plus, for a secure fit, there is a zip closure making the vest easy to put on and off. 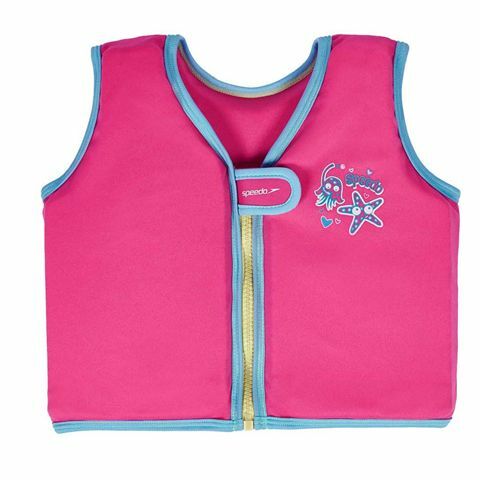 It offers a lovely Sea Squad characters print and comes in a girly pink colour. 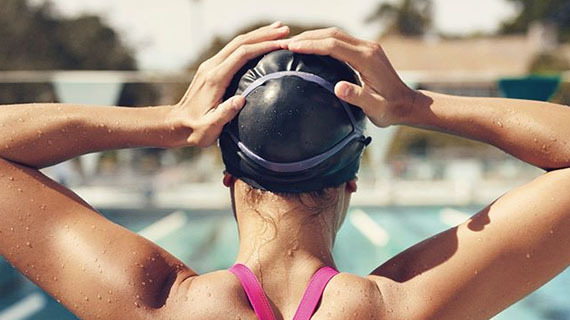 The Speedo Futura Biofuse Flexiseal ladies swimming goggles are made specifically for female faces and ensure great elasticity and cushioned comfort thanks to Biofuse® technology. They feature a strong internal frame and a super flexible external one and smoke wide-vision lenses protect your eyes from bright light and guarantee enhanced peripheral vision. 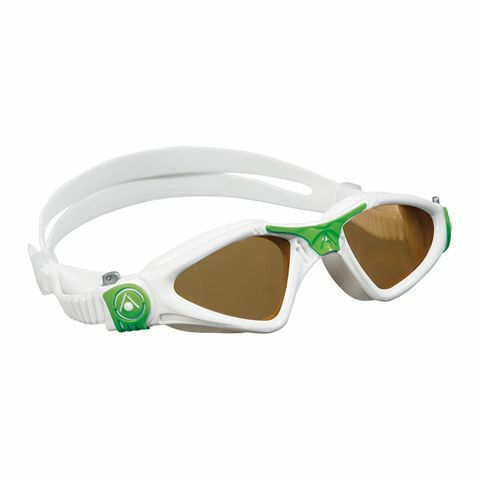 The goggles have a softer seal for an adaptive fit and an anti-fog coating prevents them from steaming up. 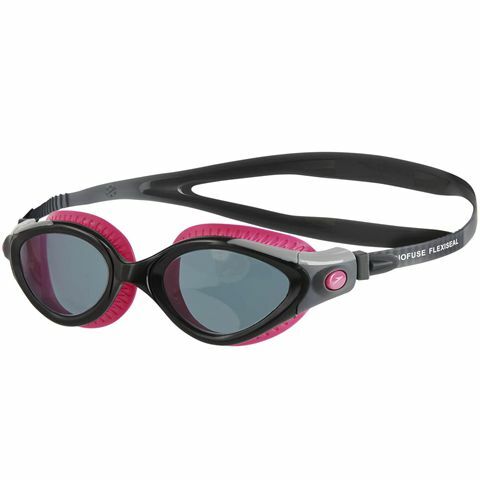 These stylish feminine goggles are suitable for open water swimming and come with a protective pouch. The Aqua Sphere Kayenne small-fit swimming goggles with polarized lenses protect eyes from 100% of UVA and UVB light so they can be worn outside. The Plexisol® lenses are large, durable and offer a 180-degree field of vision. The small fit design makes these goggles perfect for smaller and slimmer faces or older children, and they can be comfortably secured in place by the nose bridge and the silicone strap, and adjusted even when wearing them by the one-touch, Quick-Fit Buckle™. 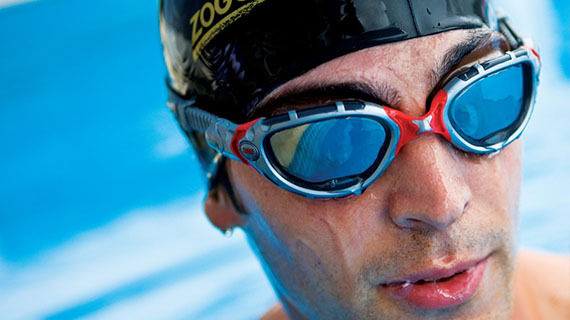 For the best clarity in the water, the lenses have been treated with an anti-fog coating. Squirt water by squeezing Dory and friends and have fun splash time with your kid using the Zoggs Finding Dory Little Squirts pool toys. 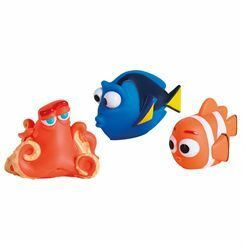 The toys include adorable and cool Dory, Nemo and Hank characters and have been designed for children aged 3 and over. Make every bath and pool visit a fantastic adventure and let your child gain confidence in the water while playing with these cute and colourful toys. 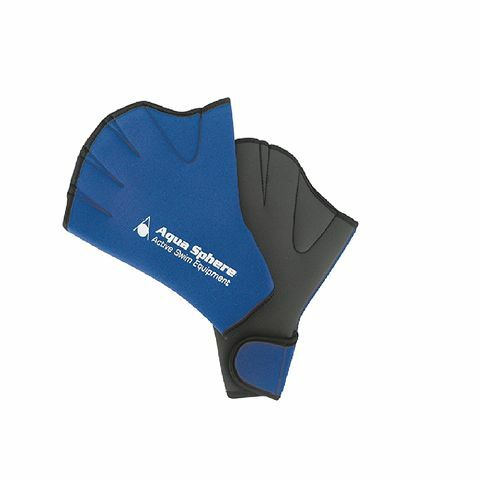 The Aqua Sphere Fitness Swim Gloves enhance your training by providing raised resistance while maintaining mobility of the hand. The Head silicone ear plugs have a special conical shape to ensure optimal fit. 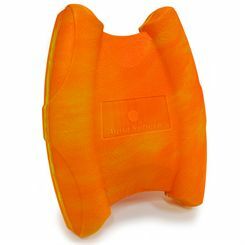 These good quality orange ear plugs are made of soft, flexible silicone that enhances the comfort of usage during swimming. 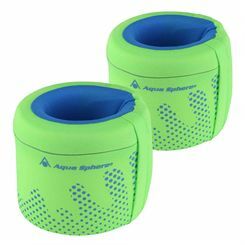 They are supplied as a set of two in a small reusable box. Swimming is one of the most enjoyed, accessible and popular of all sporting activities. Before babies can crawl they can enjoy time in the water, and later in life when physical activity outside the water presents it challenges, the buoyancy of being in a pool supports the body to move and exercise. Because all age ranges and sexes enjoy time in the pool it is a favourite family pastime as well as being a crucial life skill. For obvious reasons, unlike other sports, swimming doesn’t have a known origin. One might reasonably assume prehistoric folk swam in rivers not necessarily for sport but certainly while fishing. The Ancient Egyptians had a hieroglyphic symbol for swimming, dating it back to at least 2500 AD. There are lots of reasons why swimming is so great; if you’re on a weight loss programme it’s a higher calorie burner than walking or cycling at the same intensity, if you want strength and tone it genuinely exercises every muscle in the body and if you want to improve your endurance it ticks that box too as regular swimming strengthens the heart and lungs. Plus if you’re a little agitated a water workout is also a proven stress reliever. To participate in swimming obviously requires little more than a costume and access to a pool but if you want to get more out of the sport the equipment is really affordable, transportable and can make a real difference to how long you stay and how much you enjoy your time in the water. Most pools are chemically treated so good swimwear is made of a fabric that will endure longer than fashion beachwear items and also streamline the body for a more efficient and effective swim. Likewise swimming caps are a great investment as they reduce friction and protect your hair from the chemicals – they’re also very popular with pre-work dippers who want a quick turnaround between pool and office. Spending long periods in the water can also antagonise eyes, ears and noses. Protecting them with goggles, ear plugs and nose clips respectively takes the annoyance factor out. If you regularly use communal pools it’s sensible to protect your feet with pool sandals or socks. 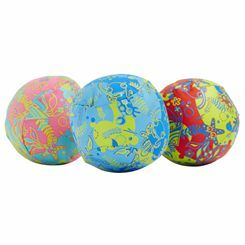 These will last you years and protect you from the sport’s most undesirable risk – veruccas. And if you’re teaching your young ones or are a late comer to the pool yourself there’s plenty of kit to help you learn and to develop your confidence such as buoyancy aids, dive sticks and snorkels. So for very little investment you can get a great deal more out of your swim. We say dive in!